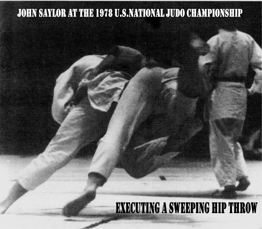 John Saylor began judo and jujitsu training at the age of 14 under Korean War Veteran Sgt. Doug Grant, and Jim Nichols. 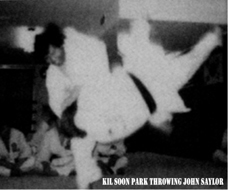 Immediately after graduating high school Saylor left home and trained under 2-time World Judo Medallist Kil Soon Park from 1972 through 1975. 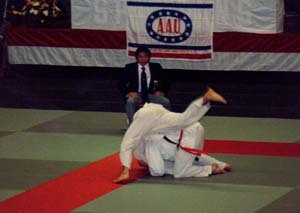 Following his time with Kil Soon Park, Saylor spent a couple years on the Ohio State University Judo Team. 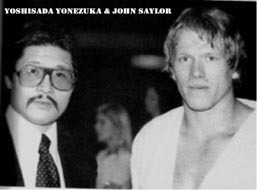 From 1978 through 1980 Saylor moved to New Jersey and trained under former All-Japan College Champion and 2-time U.S. Olympic Coach, Yoshisada “Yone” Yonezuka. 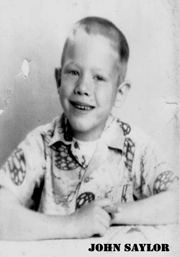 John also trained for many years at Camp Olympus, the great summer training camp founded by 1964 Olympic and 1965 World Medallist, Jim Bregman. Here John worked with many great instructors including Olympians Jim Bregman, George Harris, Ben Campbell, Jim Wooley, World and Olympic Champion Anton Geesink, Hayward Nishioka, Paul Maruyama, Geoff Gleeson, Bill Montgomery, and many others. Especially influential in John’s career was 1976 Heavyweight Olympic Medallist, Allen Coage, who later wrestled in WWF as “Bad News Brown.” Allen took Saylor under his wing and for several years served as a mentor, training partner, and friend. 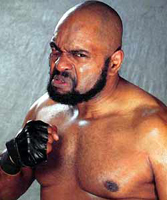 Allen Coage, who before entering the WWF wrestled for Antonio Inoki in Japan, was also the first to teach John the system of body weight exercises advocated by the great professional submission wrestler Karl Gotch. These are exercises John still incorporates in his training today. 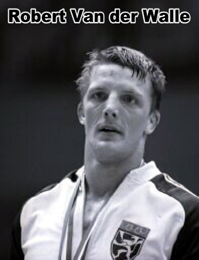 Throughout his competitive career Saylor, as a member of various U.S. Judo Teams, trained and competed throughout Europe, Japan, South America, Canada, and South Africa. 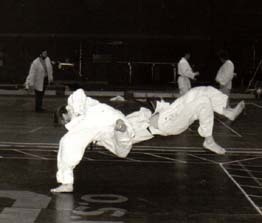 In 1979, while staying at Tokai University in Japan, Saylor was able to train with and observe some of the best judoists in the world, including the great Heavyweight Olympic and World Champion, Yasuhiro Yamashita, 1980 Light Heavy Weight Olympic Champion Robert Van de Walle of Belgium, and 2 complete Soviet Teams. Most of the Soviets were not only world-class judo fighters, but top SOMBO wrestlers as well. Saylor went on to win the National Collegiate Championship in 1974, the U.S. National Championship in 1978 and 1980, and was a two-time medallist in the Pan American Judo Championships in 1976 and 1979. 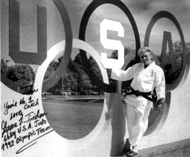 Saylor also won the gold at the 1978 National Sports Festival (now called the U.S. Olympic Festival) which served as the U.S. Judo Team Trials, the United States Judo Association National Championship in 1978, and was twice a member of the U.S.J.A. Team to South Africa (1977 and 1979) which went undefeated in’79. In 1978 Saylor was voted First Team All-American. 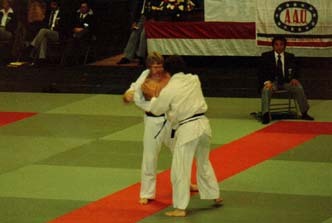 Saylor also won a bronze medal at the 1980 Pacific Rim International Judo Championship, where his only loss was by koka (smallest score in judo) to Haruki Uemura, the 1976 Open Weight Olympic Gold Medallist. After a serious shoulder injury in 1982 Saylor retired from competitive judo. 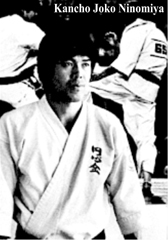 Since then he has devoted himself to coaching and teaching judo, jujitsu, submission grappling and self-defense. He served as Coach of the U.S. National Judo Training Squad at the Olympic Training Center from 1983 through 1990 which produced, or served as a temporary home, for many National, Pan American, World and Olympic medallists and champions. Shortly after leaving the OTC, John completed his B.A. at Colorado Christian University. After completing his degree Saylor helped train 3-time Olympian Grace Jividen. He accompanied her to the 1992 Barcelona Olympics where she narrowly missed a bronze medal in a hard-fought, scoreless decision loss against the Cuban. 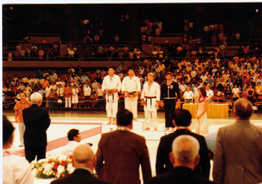 In 1987 John was voted Coach of The Year by the United States Judo Association. During his tenure as Coach of the U.S. National Judo Training Squad at the OTC, John was selected by the governing body of judo, along with his good friend Steve Scott, to attend the U.S. Olympic Committee Coaches College. John and Steve completed this program several times, and for 2 years John was asked to present a segment on training for combative sports. It was during these coaches college sessions that John developed a life-long friendship with outstanding coach and co-author Steve Scott. 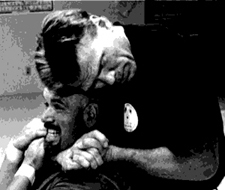 In 1985 John Saylor founded the Shingitai Jujitsu Association, and has remained active as director to this day. Saylor is a 7th Degree Black Belt in Jujitsu, and also holds black belt rankings in judo, Tae Kwon Do, and Ashihara Karate, the latter of which he studied under 1978 All-Japan Full-Contact Karate Champion, Kancho Joko Ninomiya. He is a certified Systema (Russian Martial Art) instructor, and is also certified by world- famous powerlifting, conditioning, and speed strength coach, Louie Simmons, to teach The Westside Method of Training. John is also the author of Strength and Conditioning Secrets Of The World’s Greatest Fighters, as well as many jujitsu instructional DVD’s, and is co-author with Steve Scott of The Principles Of Shingitai Jujitsu. Today John still teaches camps and seminars on jujitsu, submission grappling, MMA, and self-defense at his Barn of Truth Dojo located on 60 pristine acres bordering the Mohican State Forest in Perrysville, Ohio.